JINGWEI SYSTEMTECHNIK LTD is located in the headquartered of Ningbo National High-Tech R&D Zone it has been 10 years since JINGWEI established in 2003. JINGWEI couldn’t have succeeded without customers trust and support. JWEI products are developed for customers requirements. 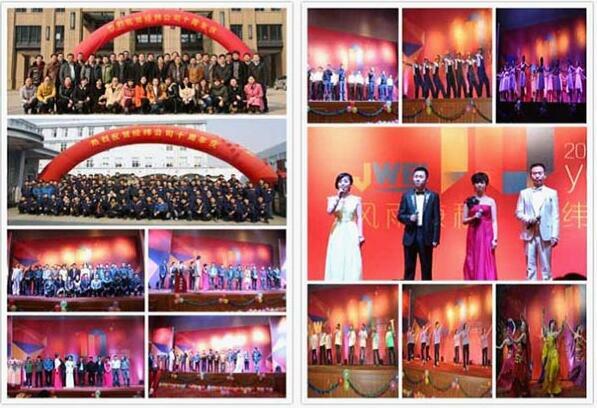 On December 31, 2013 with a cool breeze of autumn, osmanthus The celebration of JWEI 10th anniversary has been held as scheduled in The East Valley Lake Dingyue Resort Hotel located in Xiangshan. 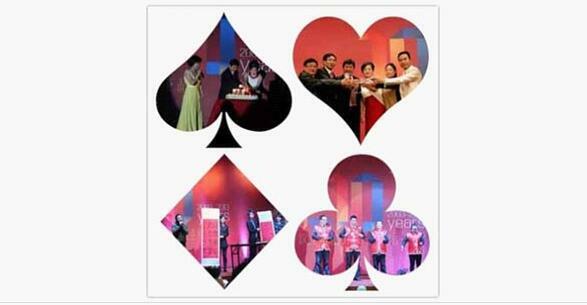 JWEI family joined together to celebrate this royal festival. The celebration began with JWEI team members poetry, dozens of pictures presented JWEI 10 years development history wonderfully. Ms Snow Lin, the company chairman and general manager Mr. Qiu Junguang made excellent speech on the celebration, which highlighted the gratitude to JWEI staff, summarized the brilliant achievements in the past 10 years, indicated the development direction in future. Specially affirmed to the achievement, admired JWEI spirit of innovation, and gave confidence and blessing to future development, wished JWEI to get more brilliant achievements in next 10 years. A large number of outstanding staffs and teams were praised on the solemn award ceremony during the 10th anniversary, which is not only the recognition of prize-winners but also the encouragement to all JWEI members. There were also staff’s performances show. Original songs, dances, and many other shows gained the cheers and applauses from the whole audience. The lottery activity pushed the anniversary to a new high. The song of “Beyond dreams”spoke the best wish to JWEI. The high-pitched passionate melody of group singing”Fly higher”expressed JWEI staffs’s confidence and enthusiasm to JWEI future development. Company could hardly develop without every members’s selfless dedication. Glad that JWEI has those devoted and hard-working staff, in the anniversary, Ms Snow Lin, the company chairman and general manager Mr. Qiu Junguang gave prizes for those 34 employees who willingly bore the burden of hard works and gained remarkable achievement in 5 years. Reviewing the past, we were full of passion. Looking forward to the future, we are confident. In such a warm atmosphere, we firmly believe JWEI will have a better future. With round off applause, JWEI members are carrying faith, cherishing persistence towards the future.